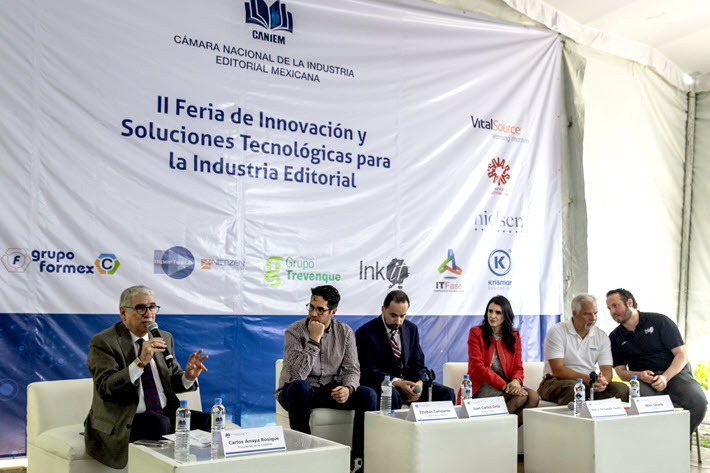 At a high-level conference organized by CANIEM, Mexican publishers were encouraged to embrace change and innovation, including digital strategies to promote reading and book sales. 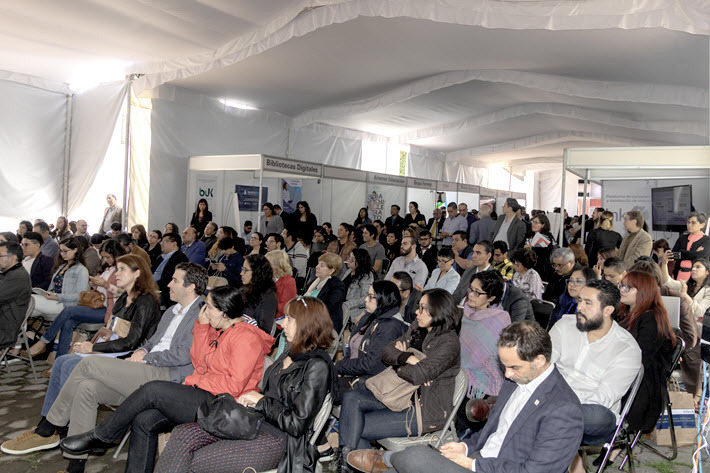 At this month’s Innovation and Technology Fair in Mexico City, the country’s publishing trade organization sponsored a forthright discussion of what one educational publisher says is the industry’s need to “accept our incapacity” and “seek alliances” to move forward. More than 170 industry publishers, editors, entrepreneurs joined the National Chamber of the Mexican Publishing Industry (CANIEM) on July 12 to engage both in networking and in some frank debate about the status of the industry today and where traditional viewpoints may be holding back progress. When it comes to embracing technology and innovation, said Fernando Esteves Fros, director general of the educational publisher SM Ediciones, publishers need to “accept our incapacity, and seek alliances with companies that can facilitate innovation and the application of technology. Esteves Fros was backed up by CANIEM director general Alejandro Ramírez Flores, who said, “The publishing industry tends to look inward. According Esteves Fros, publishers are also reluctant to consult the public about what to publish. “A ‘merchant mind’ can’t properly oversee the publication of great literary works,” he said. He also put forward a need for the industry to incorporate external talent, something he said it’s been slow to do, given that Mexican publishers are used to doing things in the traditional way, and often what’s new doesn’t get attention it deserves. Publishers in Mexico need to do more to harness social media, said Esteban Constante of El Librero de Gutenberg, a Mexican online site for book lovers that began life as a Facebook community, garnering more than 7 million followers before migrating to its own platform. “Don’t be afraid of Facebook, which is a great tool for readers and publishers,” he said, despite the gathering hurdles the vast Internet community is facing in terms of ethical, privacy, and financial issues. His point that “Publishers and independent authors need to create a community, and the industry needs to learn how to use such platforms” was well taken, though it’s clear less than two weeks later, of course, that other platforms than Facebook may for the moment be more attractive. On Thursday (July 26), the Wall Street Journal‘s Akane Otani and Deepa Seetharaman would report that Facebook lost a prodigious US$119.1 billion in market value, following the announcement from Menlo Park of the company’s “privacy first” attempt to quell criticism related to Russian cyber operatives’ use of Facebook data in Moscow’s GRU assault on the United States’ election system in support of Donald Trump. Elsewhere in the digital space, Juan Carlos Ortiz, director of operations at local printer Grupo Formex, said Mexican publishers need to embrace ebooks, given the high costs in maintaining large inventories to make their catalogue accessible to readers. Publishers, he said, need to become more efficient. What’s more, said Fernanda Castro, many publishers don’t have the resources or staff to publish in multiple formats and attend to all business models. This is where IT providers can allow publishers to access technology and become more cost-effective. “Multi-format [approaches] allow for readers’ attention to be maintained and make a book an interactive space,” she said, highlighting the importance of doing consumer analytics–which can be coordinated with social media work. Attendees were also reminded of the importance of libraries in promoting book-buying, and not just reading. Market research shows that library lending aids book sales, according to Mike Shontz, account executive with OverDrive. Consumer data is part of the service library lending can provide, Shontz said, in addition to facilitating wider market access for books. OverDrive provides library statistics to publishers, he said, allowing them to gauge reading habits to design marketing strategies. CANIEM president Carlos Anaya Rosique told the assembly that “Metadata brings greater visibility to books and allows publishers to be more efficient and competitive. Digital tools also serve the printed book, and time invested in data analysis is well-justified. Publishing analytics in Mexico received a boost in late 2017 with the arrival of Nielsen BookScan in late 2017, its first foray into a Spanish-language market in the Americas. 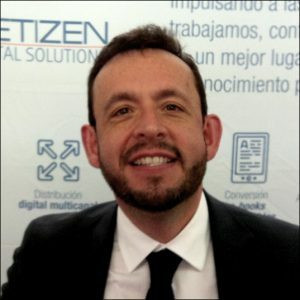 According to Jaime Iván Hurtado, CEO for Mexico at Colombia-based Hipertexto-Netizen Digital Solutions, publishers have a responsibility to perform data analysis. “Metadata goes beyond the circulation of books,” he said, “and should be applied to the creation of content. 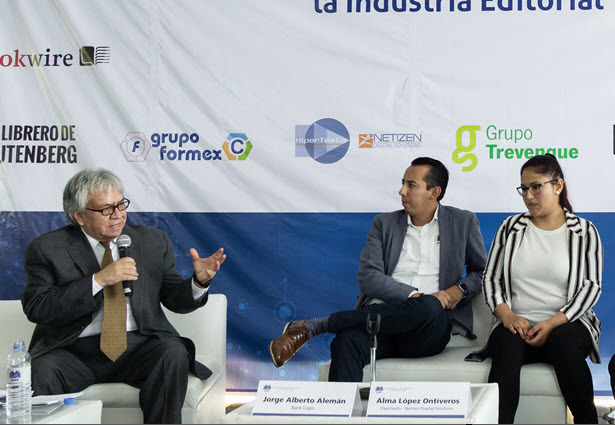 Iván Hurtado stressed the need for the an organization in Mexico to promote connectivity and data usage to facilitate better circulation both in the home market and in other Spanish-speaking territories. “Publishers in Mexico need a platform to access and manage metadata,” he said. “We need to generate an atmosphere to allow that to function at a local level, specific to this country, as every market is different. “If you can achieve that at a national level, you can then link that to the metadata of other countries in Latin America,” said Iván Hurtado. “And metadata allows books to find us,” said Diego Echeverría, “rather than us having to find them.” The founder and director of Mexican ebook publisher Ink-It, Echeverría heads up CANIEM’s still-new innovation commission, set up in last year to identify ways the country’s publishers can embrace new technologies. “One of the commission’s aims is to bring together young people, young entrepreneurs,” said CANIEM president Anaya Rosique says, “because they have a much clearer and fresher vision of the future, and we’ll learn from them as they push us toward innovation. More from Publishing Perspectives on the Mexican publishing market is here.